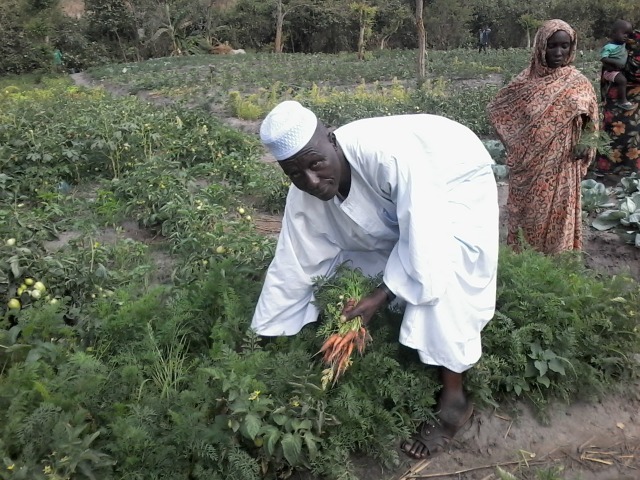 Gardens of safety in Chad from Africa’s wars as Caritas helps people fleeing regional conflict become self-sustaining farmers. Photo by Caritas Chad. Chad is one of the poorest places to live in the world. It has the third highest child mortality rate of any country. Yet, it is also hosting half a million people fleeing violence in Sudan, Nigeria and the Central African Republic. The Central African Republic has been in chaos for the last two years. Education, health and law and order have all collapsed as violence took over. Inter-communal conflict has seen hundreds of thousands of people forced from their homes. Among those fleeing the country have been people whose parents or grandparents were originally from Chad. They have now left the Central African Republic to return back to Chad. They have no remaining roots within Chad and have little independent means of survival. “My garden produce is eaten by my family. The surplus goes to the market to sell so we can buy what we lack. Thank you, Caritas.” said Hadjoro Mahamat. Photo by Caritas Chad. Over 100,000 people are living in makeshift camps, in villages or towns in Chad, where conditions are harsh. For the last two years, they’ve been completely dependent on humanitarian aid. They need food, water, health care and education. Support for food aid is decreasing, so UNAD/Caritas Chad is giving families agricultural training, tools and seeds so that they can become self sufficient. Caritas are targeting especially vulnerable groups like nursing mothers, young women and the elderly to reduce malnutrition. For the elderly, that means providing grazing animals like goats. For new mothers, its nutritional education. For young women, it is providing entrepreneurial skills such as sowing and soap making. 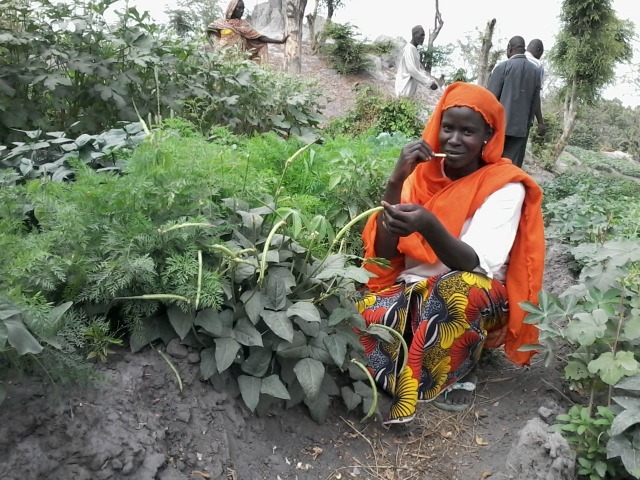 Dairou Abdoulaye is one of the women to have benefited from the Caritas Chad farming programme. Photo by Caritas Chad. “I breed animals. I have never grown any crops at home in the Central African Republic. Caritas is helping us to grow vegetables. I wanted to be re-trained too. 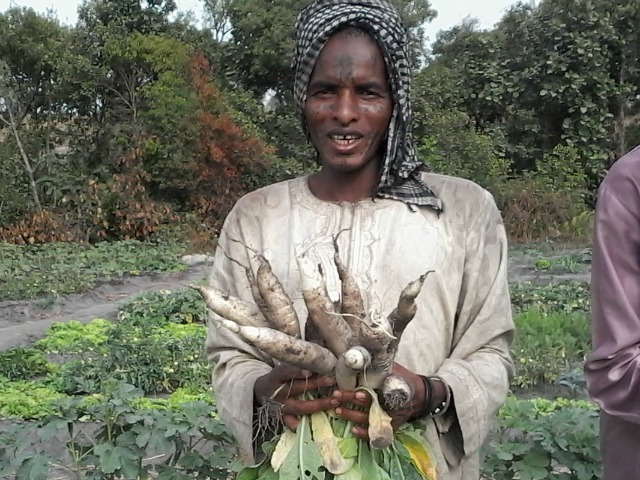 With seeds, equipment and the training I got, I have become an agricultural producer,” said Dairou Abdoulaye. Caritas Chad will help 25,000 people directly in a €500,000 programme in the south. Reporting by Roland Ndoyom, Caritas Chad.